24w X 20d X 2.625h in. 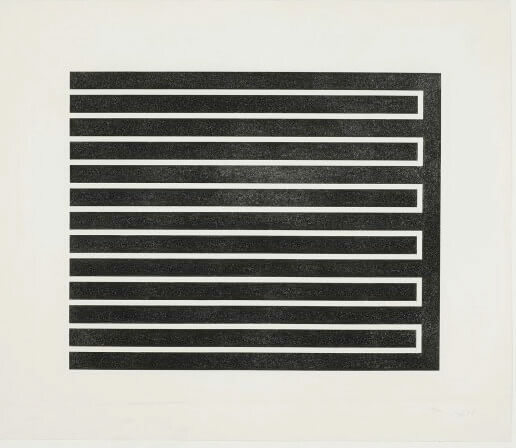 Donald Judd studied both philosophy and art, which might explain the thoughtful direction in which he took his work. Judd was called, ”the doyen of American minimalism” by art critic Robert Hughes, in his 1998 documentary, American Visions. The film looks at the transformation of art in America following the boom years of the 1950s, into the upheaval of America in the 1960s and beyond. Judd was born and raised in the quiet town of Excelsior Springs, Missouri in 1928. After he was discharged from the army in 1947, Judd moved to Williamsburg, Virginia to attend William and Mary College. He transferred to Columbia, where he completed a degree in Philosophy. Judd stayed in New York, working toward a Masters in Art History at Columbia during the day and studying at the Art Students League at night. 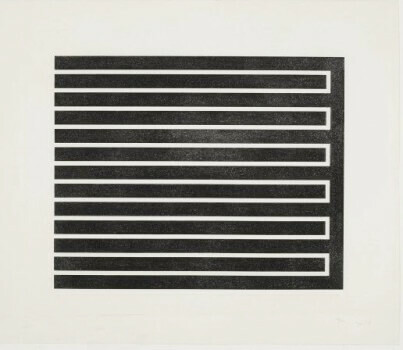 At the Art Students League, Judd painted and then began to do woodcuts, which led him to explore strong lines and patterns. In 1963, he had his first solo show at the Green Gallery in New York, at a time when America was in turmoil and American artists were pulling out all the stops. Judd’s works were well received and he began to show his works at top galleries and museums. His work became larger and more architectural, his materials more industrial. 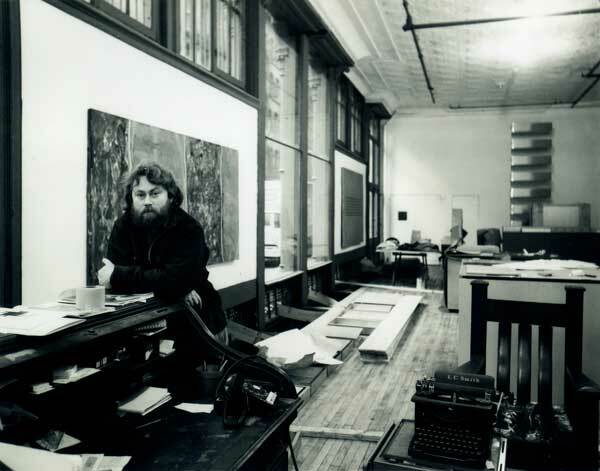 After a show at the Whitney, Judd realized that the museum’s space limited where and how his pieces could be shown and that they had to be dismantled after every showing. 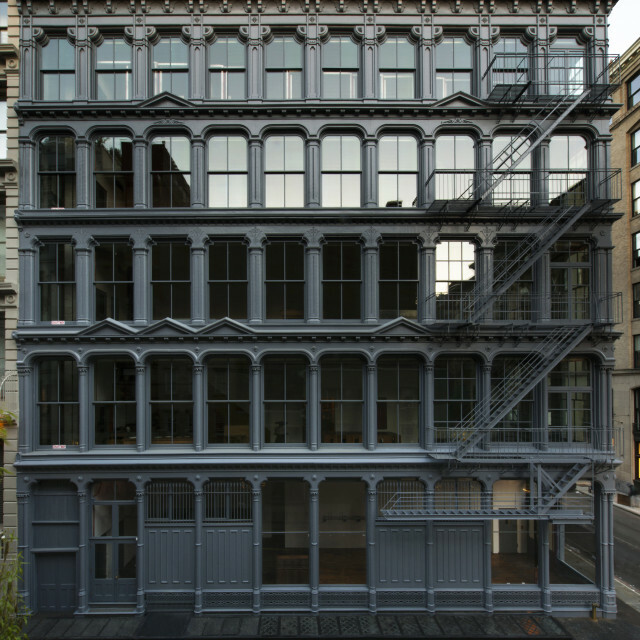 In 1968, Judd purchased 101 Spring Street, a 5-story building in SoHo, when the district was a just an industrial area. His vision was to create a space for permanent installations of art that fit the spaces in the building. The building, today, contains more than 1,000 works of art. It has been restored, with help from the National Trust for Historic Preservation, and was opened to the public in 2013. Judd liked to work large. The Spring Street building allowed him to do that, but Judd envisioned even larger pieces than could be contained in a 5-story building. In 1971, he purchased several buildings and a 60,000 acre ranch in Marfa, Texas. He thought that Marfa would make a good getaway from Manhattan for him and his two children after a separation from his wife. It was in Texas that he expanded , not just the scope of his work, but the materials, as well. He began to build furniture and create large-scale pieces that remain at the site today. The Chinati Foundation curates the art in the buildings and the installations in Marfa. Because there is so much to see in such a vast area, a single guided tour begins at 10 am and continues into the late afternoon. 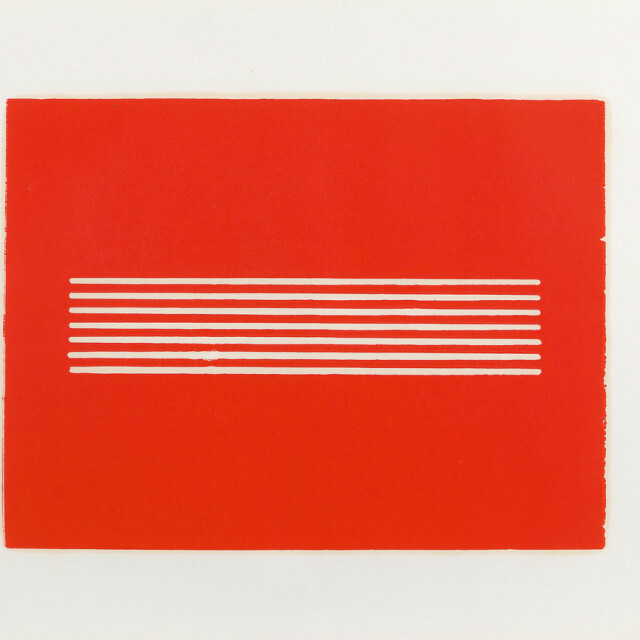 Donald Judd died in 1994 and is buried at Marfa. His daughter, Rainer and son, Flavin head up the board of the Judd Foundation to preserve his legacy in New York and Texas. 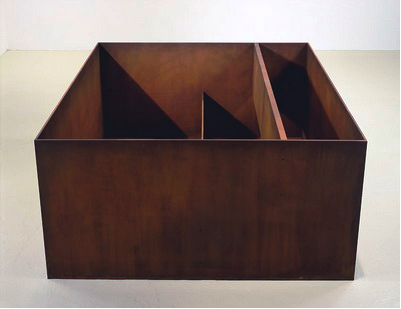 Donald Judd didn’t like being called a minimalist. Even the simplest of his designs were powerful and complex. 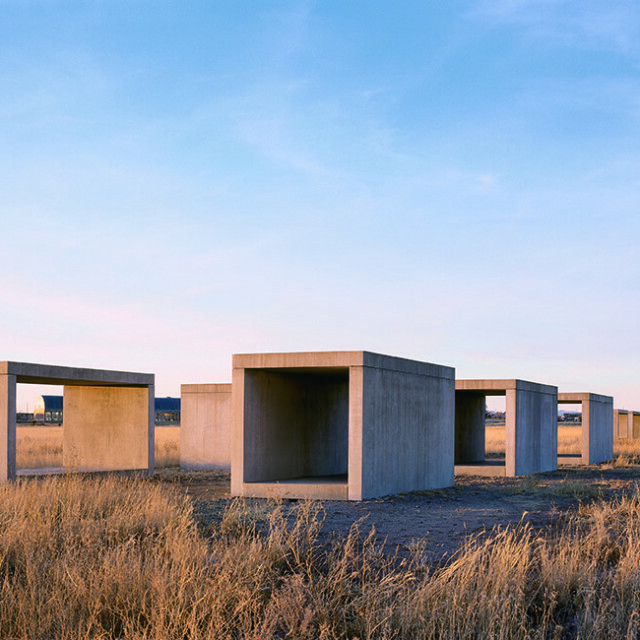 Cement blocks that Judd built across the plains in Marfa, Texas. Each block measures 8 feet in height and width and 16 feet long. 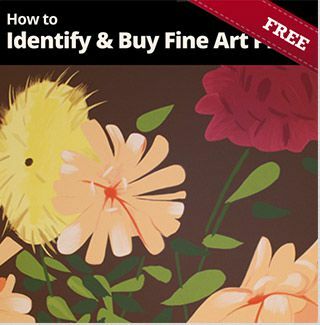 each: 9 x 40 x 31 in. 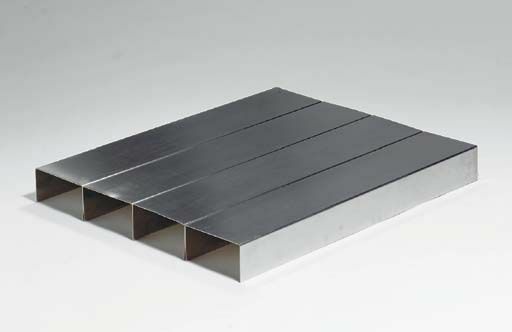 22.8 x 101.6 x 78.7 cm. 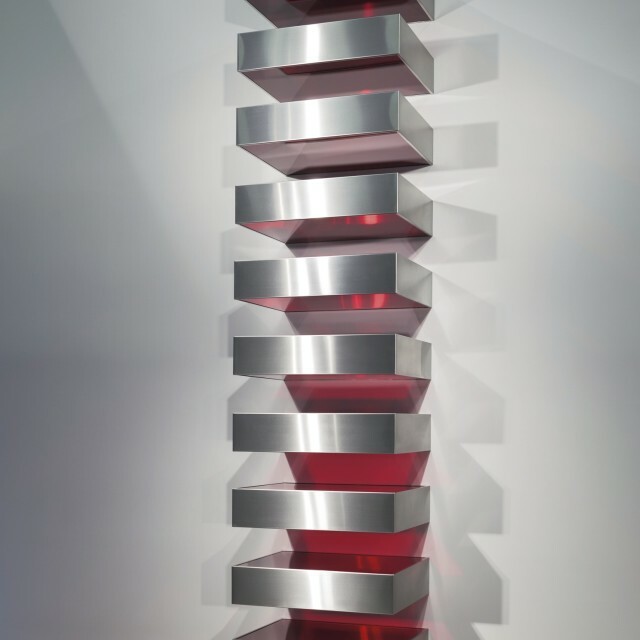 Donald Judd refined and minimized the lines and design of his work throughout his career. His early woodcut designs evolved into etchings, sculpture and furniture, all with his unmistakable style.